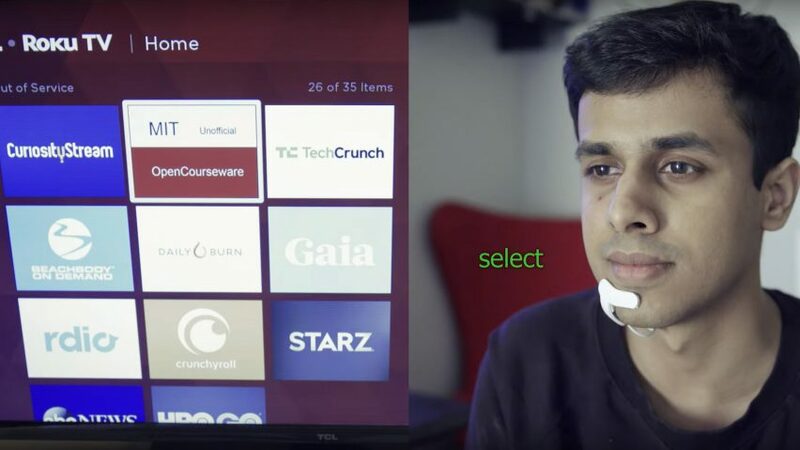 Comprised of a wearable device and a small computing system, AlterEgo enables users to “silently converse” with a computing device without talking or making any recognisable movements. 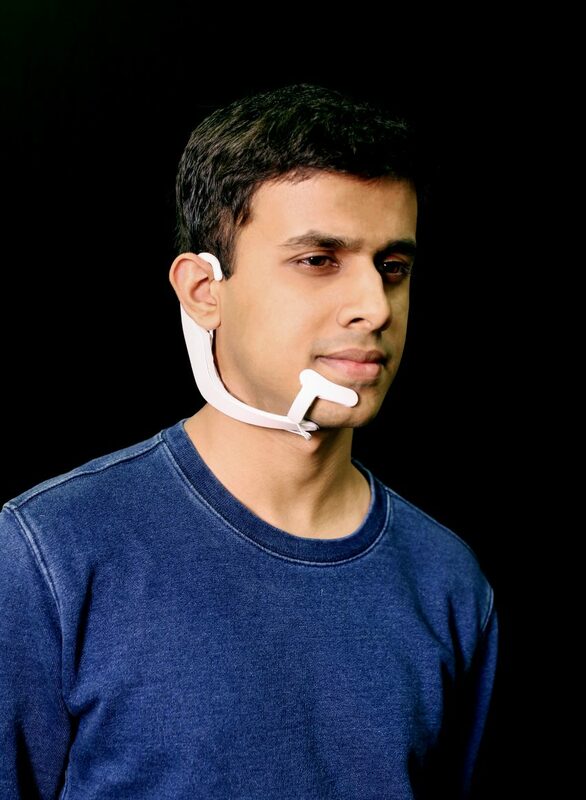 It uses electrodes to pick up neuromuscular signals in the user’s jaw and face that are triggered by internal verbalisations. These signals are then sent to a machine-learning system that has been trained to associate certain signals with certain words. A pair of bone-conduction headphones included in the device transmits vibrations through the bones of the face to the inner ear. As the headphones don’t obstruct the ear canal, this means the system can pass on information to the user without interrupting a conversation or interfering with the user’s aural experience.